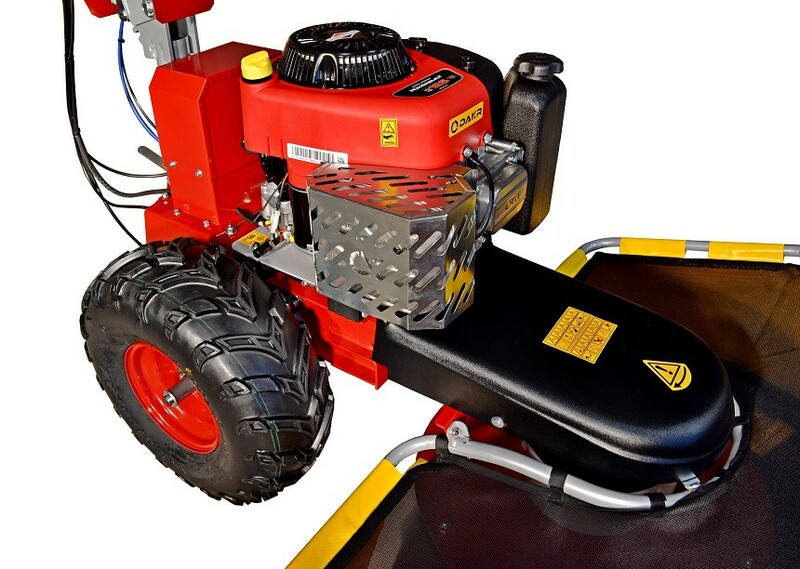 The RZS 70K mower in connection with Panter FD-3 is suitable for mowing of grass for livestock or hay making. The special spinner drops the grass aside to dry properly. The mower´s operating width is 69 cm and thanks to a good machine´s balance it is suitable for hilly terrain. There is of course possibility to connect a wide range of adaptors.